This small plaque has been carved from a single piece of ivory. The ivory has excellent wear and patina commensurate with significant age and use. It is carved with an image of Durga slaying the buffalo demon, all atop a double lotus petal dais. The plaque probably was designed to be used for votive purposes, although Pal (1981, p. 76) illustrates a 17th century Nepalese ivory hair comb that has a similar shaped handle but with a carving of Vishnu rather than Durga. 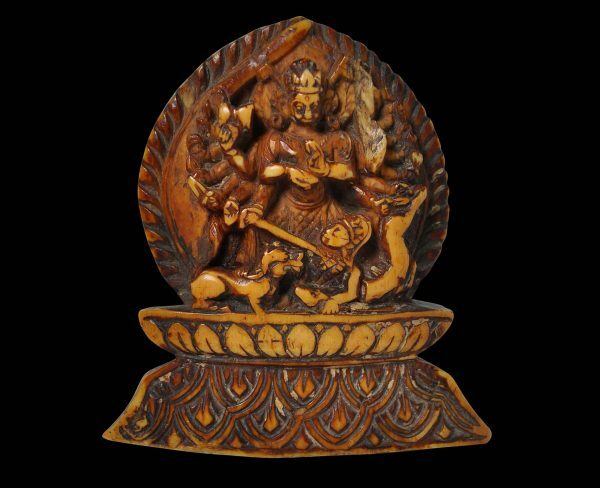 Nepalese carved ivory items of this age are relatively rare. 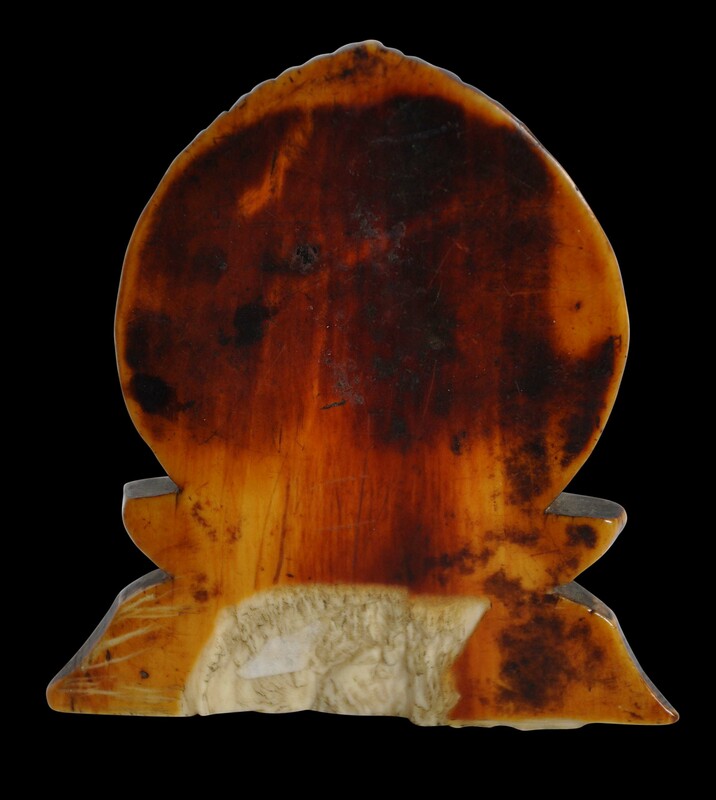 According to Slusser (2002, p. 93) ivory is a material that was readily available to Nepalese artists but was rarely used. Several examples are on display in the Patan Museum in the Kathmandu Valley – see examples below in the last photograph – displayed in the Patan Museum near Kathmandu (photographed in 2012). Pal, P., Elephants and Ivories in South Asia, Los Angeles County Museum of Art, 1981. Slusser, M.S., Patan Museum Guide, The Patan Museum, 2002.